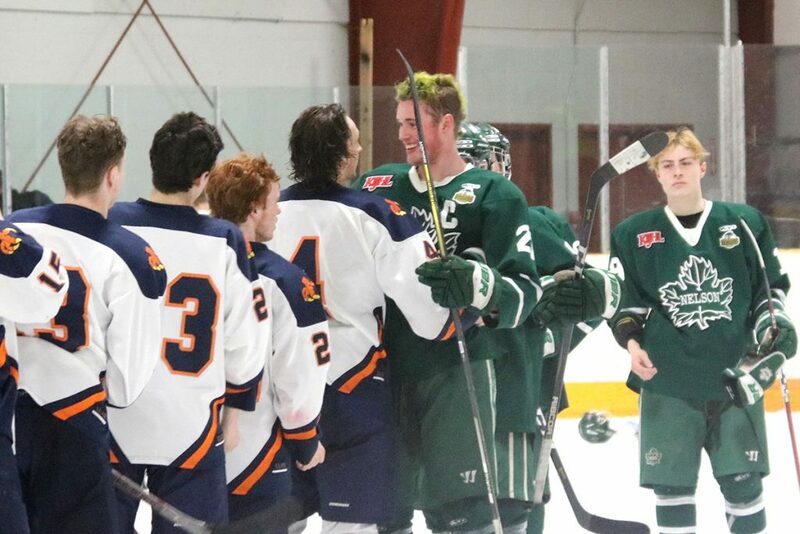 The Beaver Valley Nitehawks are out of town, but the Hawks Nest will see many of B.V.’s former stars in action on Saturday night. 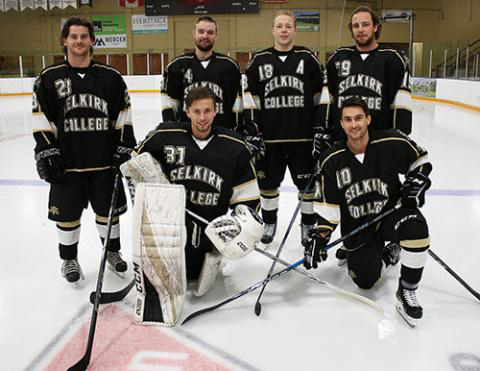 The BC Inter-collegiate Hockey League is coming to Fruitvale with the Selkirk College Saints facing off against the Vancouver Island University Mariners at the Beaver Valley Arena Saturday, in what will be a homecoming for many of the student-athletes. The Saints roster is loaded with former Beaver Valley Nitehawks players that include goaltender Tallon Kramer, and players Dylan Heppler, Tyler Hartman, Nolan Percival, Devin Nemes, and Kadrian Klimchuk. 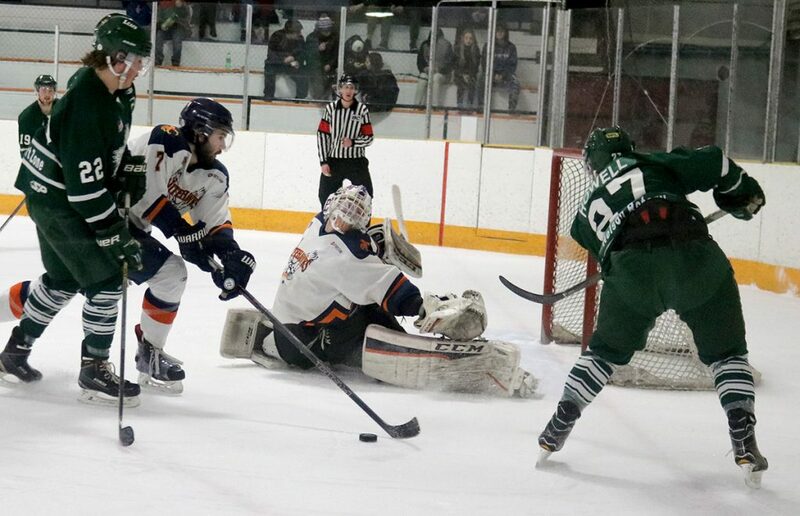 But that’s not all, even the VIU Mariners boast a pair of Nitehawks in Trail native Dallas Calvin and goalie Brett Clark. 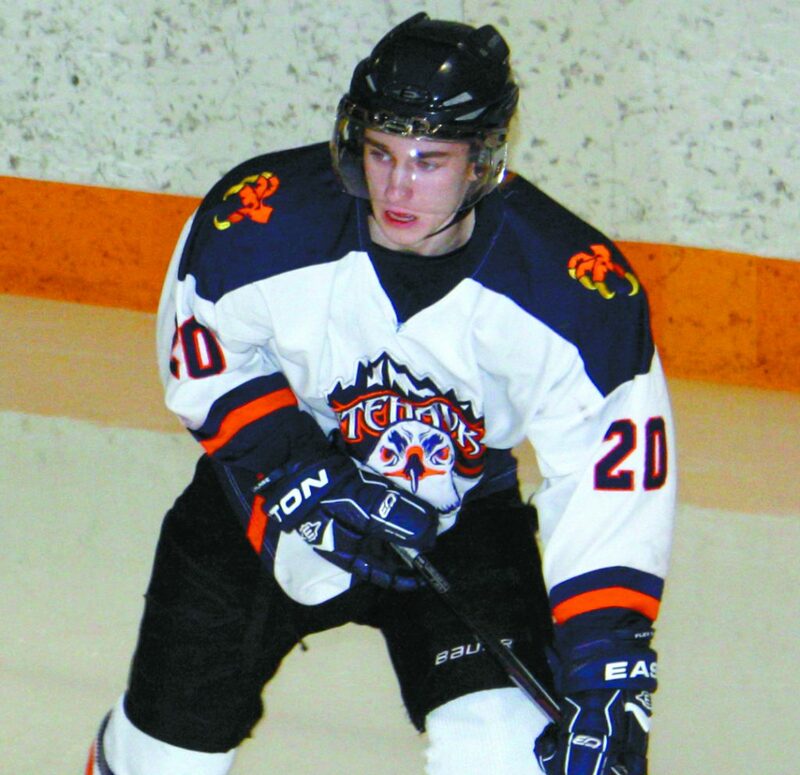 The duo were instrumental in helping B.V. capture the 2014 Cyclone Taylor and Keystone Cups, with Clark earning MVP honours in the Keystone and Calvin the leading scorer, before both moved on to play for the Trail Smoke Eaters in 2014-15. For players like Kramer, who has been outstanding in net for the Saints this season, a return to the Hawks Nest will bring back a flood of memories. The Grande Prairie native backstopped B.V. to the 2016-17 KIJHL championship and Cyclone Taylor Cup following an impressive season. Kramer earned 28 wins, five losses, and four shut outs, while posting a 1.81 goals-against average, and .935 save percentage. 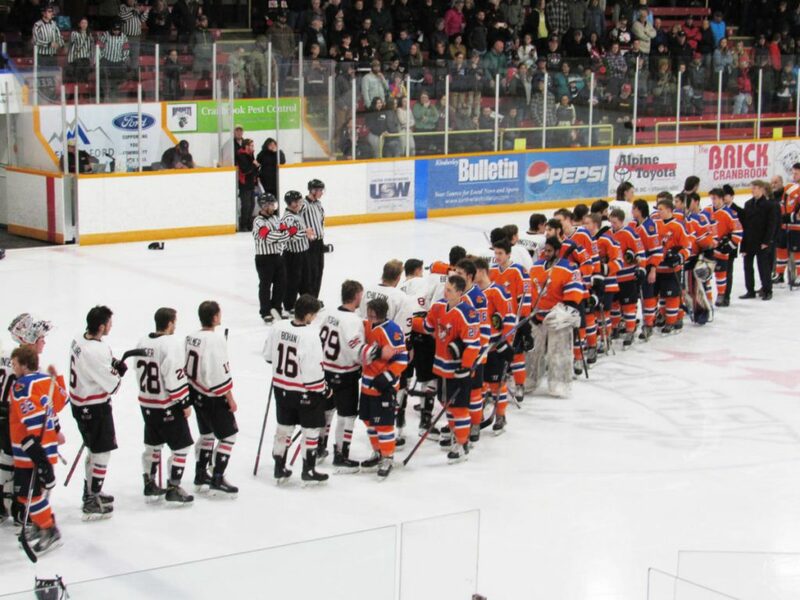 Hartman, Heppler, and Percival were also key components to the Nitehawks success that year, with Hartman joining the Saints last season and Heppler and Percival coming on board this year. The 4-3-0-3 Saints got off to a slow start this season, but have turned a corner in the last month with a sweep of UVic Nov. 2-3, followed by a three-point weekend against previously undefeated Trinity Western University (TWU) last weekend. Kramer was stellar in net stopping 39 shots in a 4-2 victory Nov. 16, but TWU won the next match 3-2 in overtime. Still, the Saints are confident coming into this weekend’s matches against the 6-4-0-1 Mariners. Percival and Hartman are out with injury, but the Saints have a strong complement of former KIJHL players, with 14 of its 21-man roster having played in the KI, including former Castlegar Rebels goaltender Patrick Zubick, and players Vince Bitonti, Logan Styler, Chris Breese, and Ed Lindsey and Nelson’s Cole Arcuri. And while rivalries ran deep when the Hawks faced off against the Leafs and Rebels, allegiances changed when the players pulled on the same sweater. “It’s funny, us and the Rebels absolutely hated each other, but me and Nolan and Heps (Heppler), and Ed Lindsey and Vince Bitonti are like best friends on the team so it’s pretty funny,” said Kramer. On the other side, Calvin and Clark are good friends with many of the Saints. Dallas began his post-secondary journey at Selkirk College and led the Saints to a league championship during his rookie season in 2016. 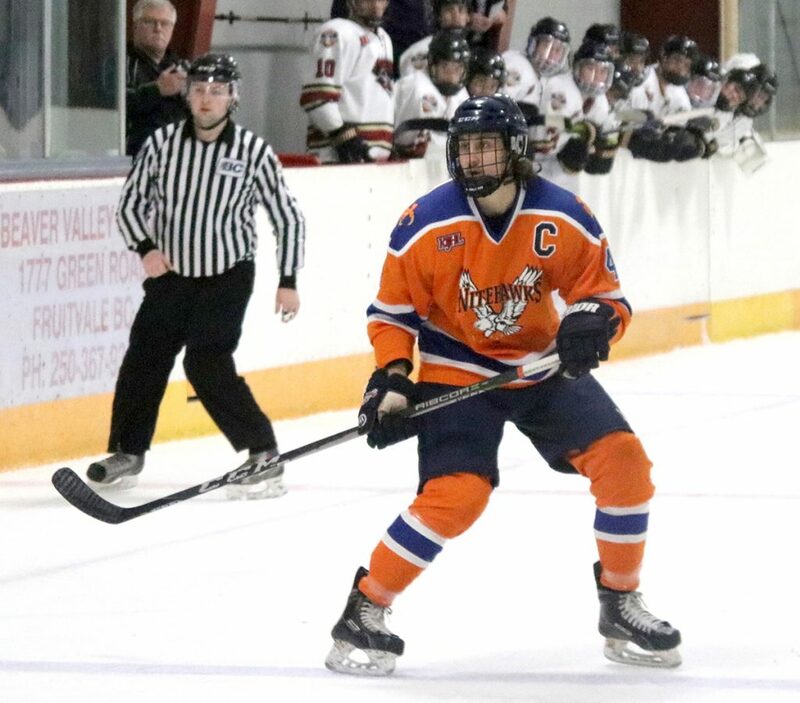 After three years with the Saints, Calvin transferred to Vancouver Island University at the start of this season where he is completing his degree and currently leading the BCIHL in scoring. The Mariners defeated the Saints 8-3 back on Oct. 20, firing 57 shots at Kramer in the Saints losing cause. However, with their recent resurgence, Selkirk will try to turn the tables this time around. “The last two weekends, guys have really figured out their roles, and we’ve all come together and built some confidence,” added Kramer. “It’s so tight, the league is only separated by one to three points, and I think if we win both we’ll jump right into first place, so it’s a pretty big weekend for us, and we’re looking forward to it. The Saints host the Mariners at the Hawks Nest at 7 p.m. Saturday with a venue shift to Nelson on Sunday for a game at the Nelson and District Community Complex also at 7 p.m.